POPULATIONS of vultures across the continent of Africa and Asia have been on the vast decline over the past ten years of which has become quite concerning to International Animal Rescue Foundation and other conservation organisations. Both the new world and old world species are battling both habitat destruction, unstainable agriculture, but most concerning is the use of diclofenac – a pharmaceutical that has been used in human and veterinary medicine since the early 1970’s. The name “diclofenac” derives from its chemical name: 2-(2, 6-dichloranilino) phenylacetic acid. Diclofenac was originally developed by Ciba-Geigy (now Novartis) in 1973. It was first introduced in the UK in 1979. In the United Kingdom, India, and Brazil diclofenac may be supplied as either the sodium or potassium salt; in China, it is most often supplied as the sodium salt, while in some other countries it is only available as the potassium salt. Diclofenac is available as a generic drug in a number of formulations, including diclofenac diethylamine, which is applied topically. Over-the-counter (OTC) use is approved in some countries for minor aches and pains and fever associated with common infections. In the United States it’s available as both the sodium and potassium salt. 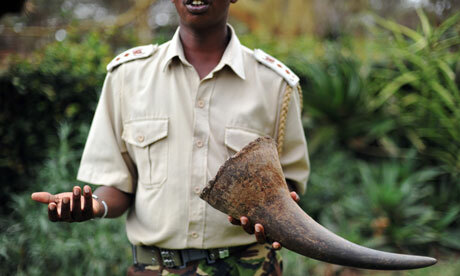 Diclofenac is being used wildly by poachers to decrease the chances of being caught by ranger anti-poaching units. Vultures (old world) and (new world) are the eyes and ears of the skies from which they naturally alert field operatives on the ground to a possible poaching incident. Used to treat animals for inflammation and other diseases vultures are unable to break down the chemical and die from renal failure. The impact of the drug was quick and devastating with vulture populations in India during the 1980′s running at millions of birds to barely a few thousand remaining by the late 1990′s. 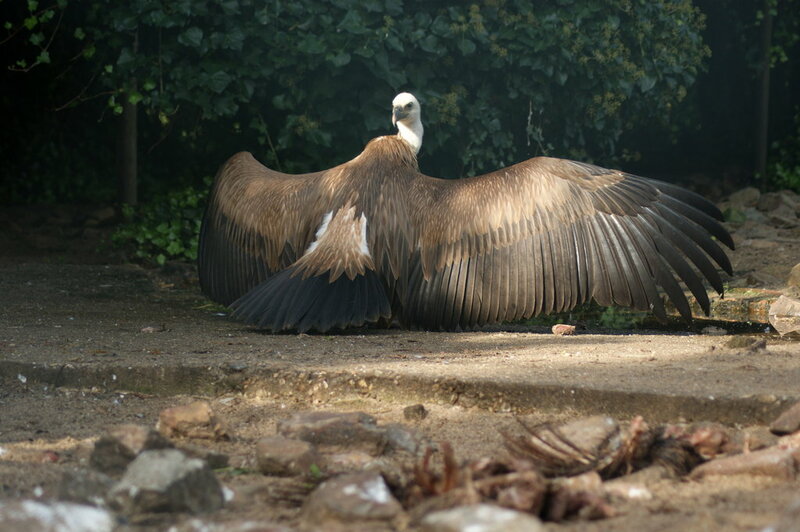 Despite the drug being banned by India in March 2006, Nepal in August 2006 and Pakistan in late 2006 the drug has been authorised for use in Spain where 80% of European vultures live. There is no need for diclofenac to be licensed for use in Europe as Meloxicam has the same effects on livestock but without being toxic to vultures. Could the devastation of Asia – where over 99% of vultures died in just over a decade – be replicated in Europe? The drug is particularly toxic to vultures. A study in 2003 by Dr. Lindsay Oaks to try to find out what was killing all the vultures in India discovered just how toxic the drug was to the birds. The researchers concluded that if just 1% of dead livestock on by vultures had been treated with diclofenac the impact would be catastrophic on vulture populations. 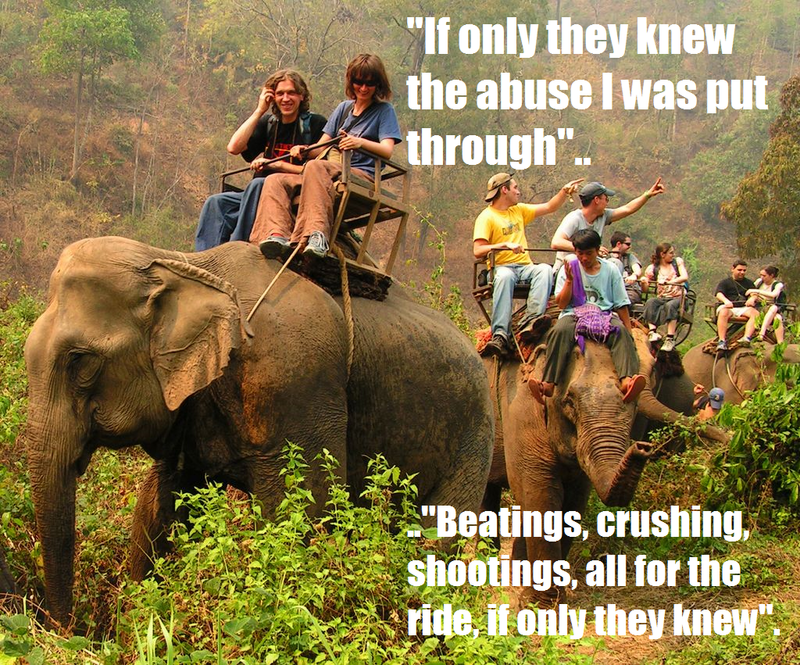 In reality over 10% of animal carcasses had been previously treated with the drug. 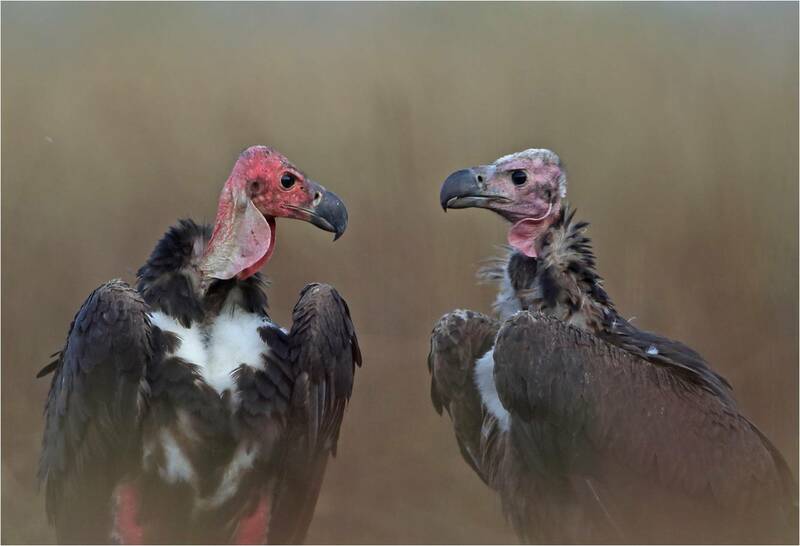 The sudden drop in numbers of vultures saw major increases in other scavengers such as wild dogs and rats which also carries diseases that are not present in vultures. The loss of the vultures led to major public health implications through the growth in diseased carrying scavengers. While the drug has been produced and used in Italy for many years the implication of Spain now allowing the drug to be used in livestock is worrying conservationists. The drug was licensed for use in Spain last year. While risk assessments were done there was no advice taken from bird conservationists and no impact assessment done to consider the risks to vultures. One of the lead organisations in helping to coordinate an alliance of conservation organisations is the Vulture Conservation Foundation. The new alliance aims to help highlight the issue to the public and to campaign to the European Union to ban the use of veterinary diclofenac. Diclofenac an (NSAID) Non-steroidal anti-inflammatory drug commonly referred to as non-steroidal anti-inflammatory agents/analgesics (NSAIAs) or non-steroidal anti-inflammatory medicines (NSAIMs)—are a class of drugs that provides analgesic (pain-killing) and antipyretic (fever-reducing) effects, and, in higher doses, anti-inflammatory effects. 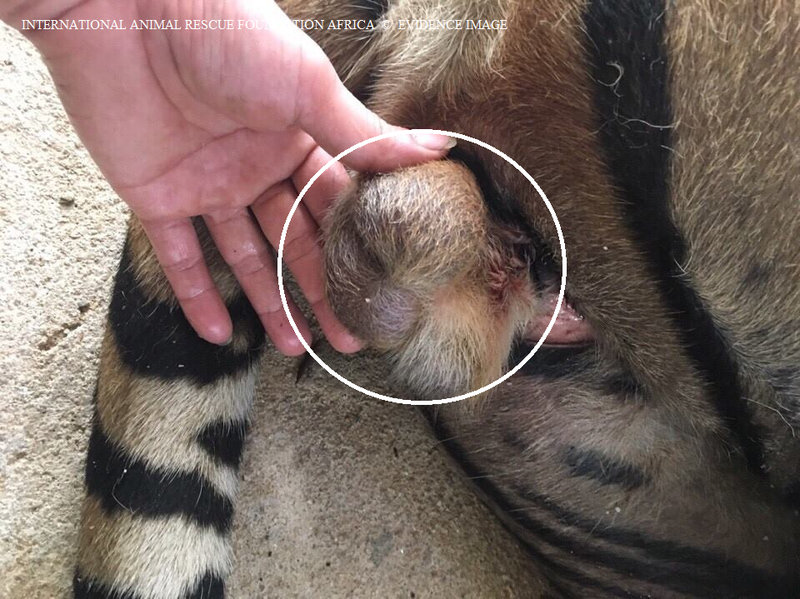 Although seen as a keen anti-inflammatory by practitioners and medical specialist’s used unprofessionally or as a weapon can have disastrous effects to wildlife species of which International Animal Rescue Foundation Africa/Europa require this drug to be banned or made safer immediately. Renal failure (also known as kidney failure or renal insufficiency) is a medical condition in which the kidneys fail to adequately filter waste products from the blood. Avian renal failure is more or less exactly the same as renal failure in humans; humans are easier to treat though than avian species. Just as in other metabolic diseases (i.e. liver disease) determining a definitive diagnosis in a timely manner and administering appropriate therapy is crucial to the patient’s survival. Unfortunately, kidney diseases in birds often carry a poor prognosis as many cases are diagnosed after they become chronic disease. Clinical signs associated with kidney disease are highly variable and may be attributable to any number of disease processes. Clinical signs may include lethargy, depression, polyuria, polydipsia, dehydration, weakness, ataxia, lameness, weight loss, diarrhoea and neurologic signs. Sadly within the bushvelds of Africa and grasses of Asia once poisoned with substantial amounts of diclofenac vultures have very little chance of survival, poachers are not just killing rhino or elephant species they too are damaging the eco-system of which puts undesirable stress onto other fauna species both land and aquatic. This newish threat couldn’t come at a worse time for vultures. In West Africa, vulture populations have declined by 42 percent over the past 30 years. A January 2013 study showed that, because vultures fly long distances to feed outside national parks, they are increasingly at risk of chemical poisoning in agriculture areas. Fuelled by rising demand in Asia, where elephant tusks are turned into rings, chopsticks, and countless other trinkets, conservation groups estimate that poachers kill tens of thousands of elephants each year, including an estimated 25,000 in 2012 alone and whilst poaching of mega fauna continues so will the destruction and extinction of species continue. 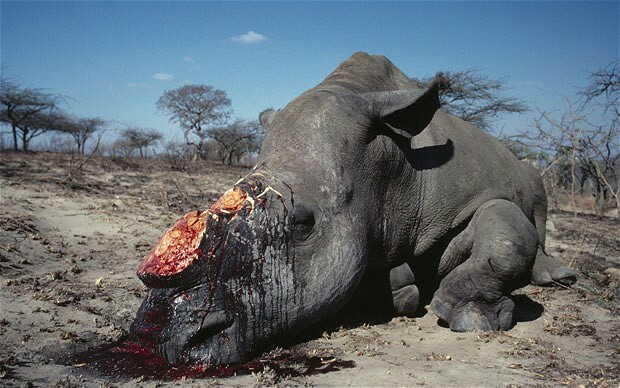 The worldwide trade in ivory has doubled since 2007 so what hope our avian species have is very slim. Four rare vulture species are present in Europe, and all are protected by EU law. The Egyptian Vulture is threatened with extinction and listed as ‘Endangered’ on the IUCN Red List of Species and the Cinereous Vulture is listed as ‘Near Threatened’. The Griffon Vulture and Bearded Vulture have recently recovered from very low populations after decades of conservation efforts. 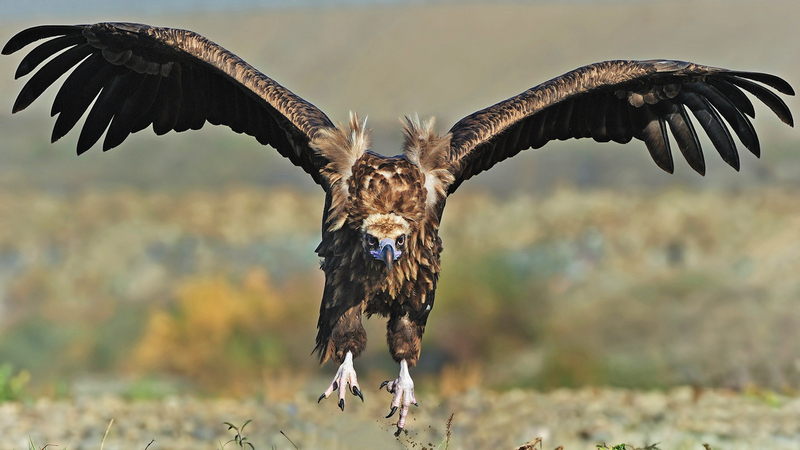 Millions of Euros have been invested in saving these European vultures and this investment is now in jeopardy. “The UK’s Veterinary Medicines Directorate is taking the issue of diclofenac’s risks to vulture populations seriously. As a precautionary measure the VMD will not approve any requests from vets to import products containing diclofenac. Furthermore, they have agreed not to issue any export certificates which name diclofenac-containing products in the list of products to be exported”. This is significant, because it sends out a strong message to decision makers, veterinaries, farmers and the conservation practitioners about the dangers of diclofenac to vultures. The UK veterinary standards are often seen as the ‘industry standard’ to follow in other countries. Widespread, increasing and mostly illegal use of poison is decimating African vulture populations, precipitating a biodiversity crisis with as yet uncharted human health consequences. These are the main conclusions from a recent workshop organised to discuss the issue, which has gathered 20 experts from Africa, Europe and North America. Twelve leading conservation organisations speak in unison: Without rapid and effective action, Africa will soon lose some of its vultures! Below you can find the joint press release, and also the conclusions of the meeting. You can also download all presentations and supporting documents hereto. Regionally extinct within South Africa the Egyptian Vulture still inhabits quite a significantly large range. However the species is in decline of which populations will continue to plummet should poaching, unsustainable agriculture, habitat fragmentation and deliberate persecution not be addressed more precisely at government level. 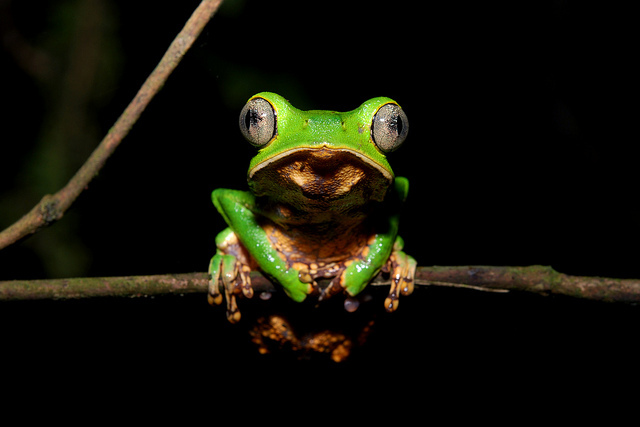 This species faces a number of threats across its range. Disturbance, lead poisoning (from gunshot), direct poisoning, electrocution (by power lines), collisions with wind turbines, reduced food availability and habitat change are currently impacting upon European populations. Illegal poisoning against carnivores seems to be the main threat operating on the breeding grounds in Spain and the Balkans. Declines in parts of Africa are likely to have been driven by loss of wild ungulate populations and, in some areas, overgrazing by livestock. Within the European Union, regulations introduced in 2002, controlling the disposal of animal carcasses, greatly reduced food availability, notably through the closure of traditional “muladares” in Spain and Portugal; however, recently passed regulations will permit the operation of feeding stations for scavengers. Poisoning is a threat to the species, often through the use of poison baits targeted at terrestrial predators, and through the consumption of inappropriately disposed poisoned animals. 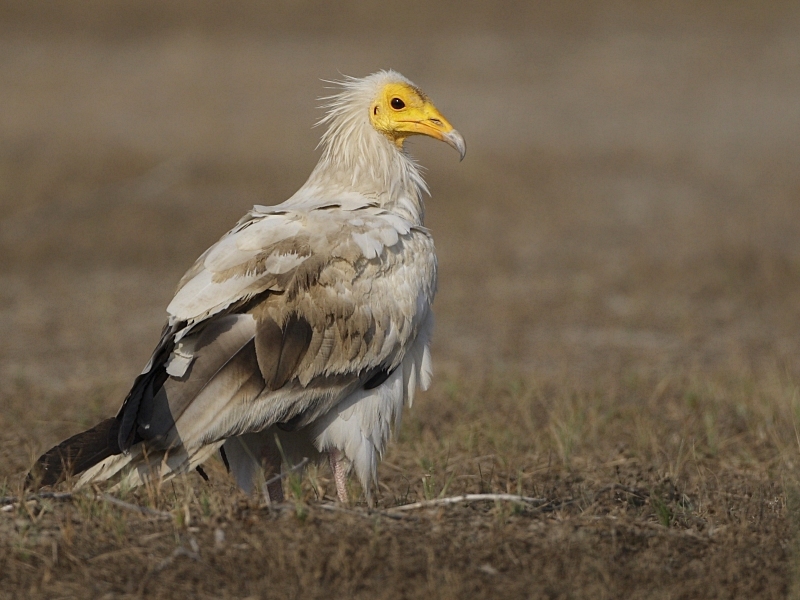 Recent analyses from many countries such as Spain and Bulgaria have highlighted high levels of contamination of Egyptian Vultures leading to increased mortality. Antibiotic residues present in the carcasses of intensively-farmed livestock may increase the susceptibility of nestlings to disease (e.g. avian pox has been reported as a cause of mortality in Bulgaria. It appears that Diclofenac, a non-steroidal anti-inflammatory drug (NSAID) often used for livestock, and which is fatal to Gyps spp. when ingested at livestock carcasses, is driving the recent rapid declines in India. NSAIDs are reportedly toxic to raptors, storks, cranes and owls, suggesting that vultures of other genera could be susceptible to its effects. It seems plausible that this species previously had less exposure to the toxin owing to competitive exclusion from carcasses by Gyps spp. vultures. 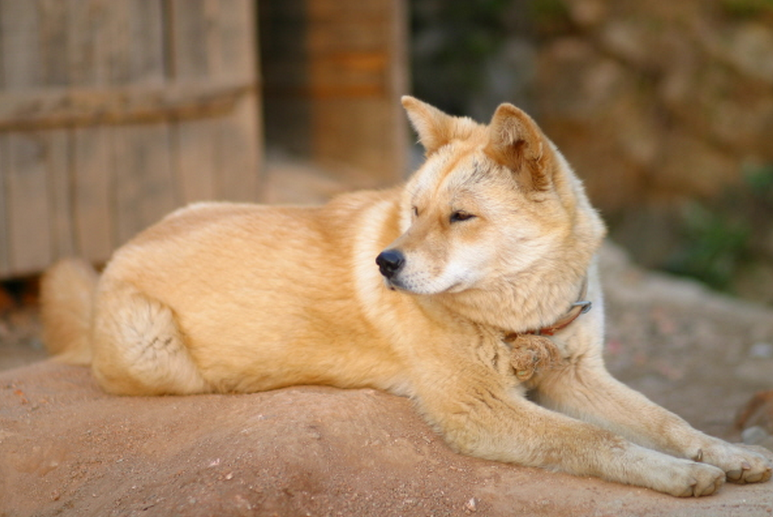 In 2007, Diclofenac was found to be on sale at a veterinary practice in Tanzania. In addition, it was reported that in Tanzania, a Brazilian manufacturer has been aggressively marketing the drug for veterinary purposes and exporting it to 15 African countries. Mortality at power lines has been found to be particularly common on the Canary Islands and potentially risky in other regions of Spain and in Africa, with 17 individuals found killed by electrocution in Port Sudan, over 10 days in 2010, indicating a potentially serious problem that has persisted for decades and will continue to contribute to Egyptian Vulture population declines. In Morocco at least, the species is taken for use in traditional medicine. Competition for suitable nest sites with Griffon Vulture may reduce breeding succession the short-term. In Europe, the breeding population is estimated to number 3,300-5,050 breeding pairs, equating to 9,900-15,150 individuals. Europe forms 25-49% of the global range, so a very preliminary estimate of the global population size is 20,000-61,000 individuals, roughly equivalent to 13,000-41,000 mature individuals, although further validation of this estimate is needed. Regionally extinct within Cyprus, Italy, Moldova, Romania and Slovenia the Cinereous Vulture is currently listed as “near threatened” of which may soon be re-listed as vulnerable should persecution not cease and pharmaceutical companies not take responsibility for drugs they are manufacturing. Threats to this species are just as identical as that of the Egyptian endangered vulture species. The two main threats to the species are direct mortality caused by humans (either accidentally or deliberately) and decreasing availability of food. The main cause of unnatural death is the use of poisoned baits for predator extermination, although shooting and destruction of nests also occur. Shooting and poisoning are increasing in Mongolia, and many birds are trapped or shot in China for their feathers. There are fears that veterinary application of the non-steroidal anti-inflammatory drug Diclofenac, which has caused the near-extinction of several Gyps vultures in India, may have a negative impact on A. monachus, particularly as increasing numbers of the species are wintering in northern India. A study in central Spain during 2003-2005 found high concentrations of antibiotics in blood samples from 57% of nestlings tested. The same study found two antibiotics in the liver samples of all dead nestlings that were tested. It is hypothesised that antibiotic residues, particularly quinolones, cause liver and kidney damage, and deplete lymphoid organs and alter bacteria flora, facilitating pathogenic bacterial and fungal infections. In Europe, decreased food availability was formerly caused by European Union legislation on carcass disposal; however, recently passed regulations will allow the operation of feeding stations for scavengers. In Eastern Europe and central Asia, particularly in the former Soviet Union, changes in agricultural practices and human migration from the countryside to the cities have greatly reduced numbers of domestic livestock. In Georgia and Armenia, declines may be linked to the loss of subsidies for sheep-herding in the post-Soviet era. Additionally, there have been steep declines in many populations of wild ungulates which provide a major food source for the species. The Saiga antelope (Saiga tartarica), for example, numbered over one million individuals ten years ago, and has now been reduced to a population of 30,000-40,000 owing to uncontrolled hunting and severe winters. 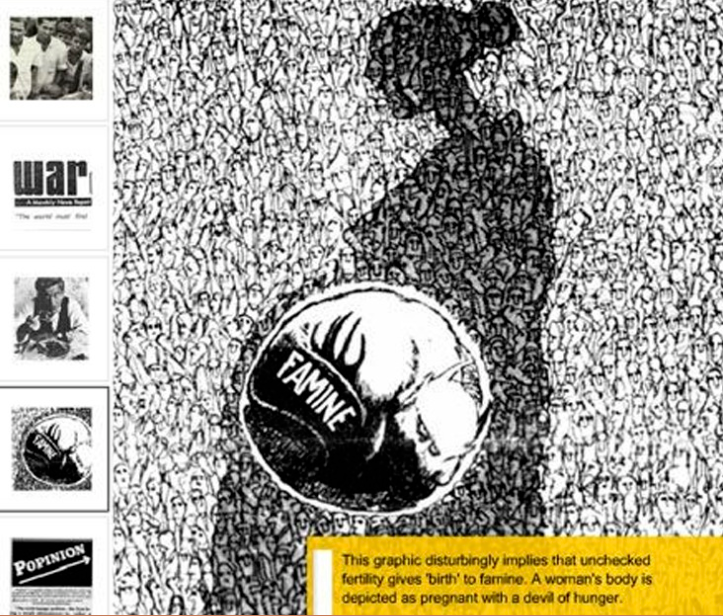 In South Korea, food limitation is a serious problem such that the species relies on supplementary food. Habitat loss is also thought to be important. 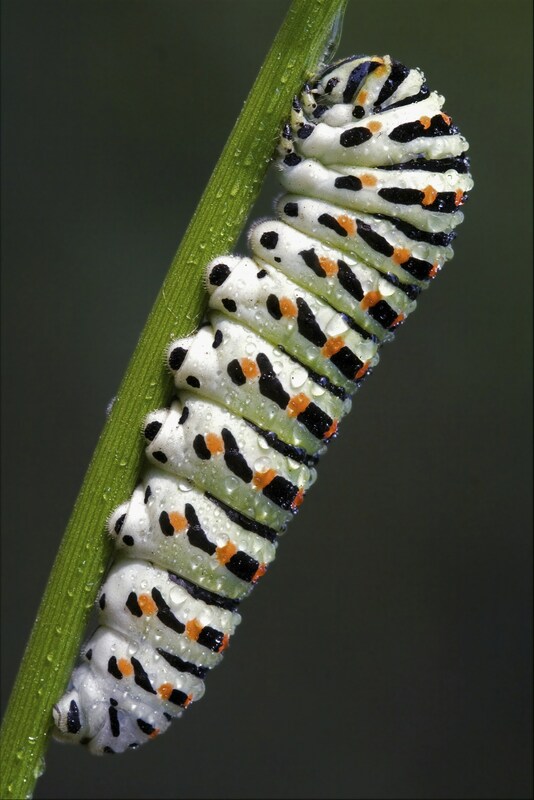 The majority of brood losses occur during the incubation period and it is suspected this may be partially due to low and fluctuating temperatures and so changes in air temperatures resulting from climate change may be a potential future threat to the species. Its global population is estimated to number 7,200-10,000 pairs, roughly equating to 14,000-20,000 mature individuals. This consists of 1,700-1,900 pairs in Europe and 5,500-8,000 pairs in Asia. The population in Korea has been estimated at c.50-10,000 wintering individuals. The estimate roughly equates to 21,000-30,000 individuals in total. There are two species of (Gyps) being the G. rueppellii and G. fulvus. G. fulvus is currently listed as (least concern) of which populations are on the increase. Unfortunately G. rueppellii commonly known as the griffon vulture also known as Rueppell’s Vulture, Ruppell’s Vulture, Rüppell’s Griffon Vulture, Rueppell’s Griffon, Rüppell’s Vulture is listed as endangered. The species faces similar threats to other African vultures, being susceptible to habitat conversion to agro-pastoral systems, loss of wild ungulates leading to a reduced availability of carrion, hunting for trade, persecution and poisoning. In East Africa, the primary issue is poisoning (particularly from the highly toxic pesticide carbofuran), which occurs primarily outside protected areas; the large range sizes of this and G. africanus puts them both at significant risk as it means they inevitably spend considerable time outside protected areas. In addition, the ungulate wildlife populations on which this species relies have declined precipitously throughout East Africa, even in protected areas. In 2007, as explained above diclofenac, a non-steroidal anti-inflammatory drug often used for livestock, and which is fatal to Gyps spp. 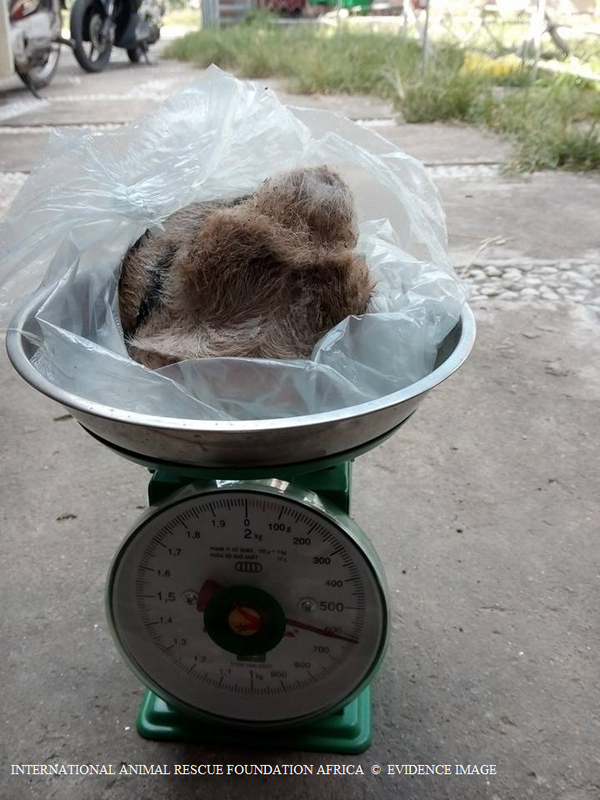 when ingested at livestock carcasses, was found to be on sale at a veterinary practice in Tanzania. In addition, it was reported that in Tanzania, a Brazilian manufacturer has been aggressively marketing the drug for veterinary purposes and exporting it to 15 African countries. The West African population has been heavily exploited for trade, with birds commonly sold in fetish markets. For example, the Dogon of central Mali climb the Hombori cliffs to take eggs and chicks of this species. The decline and possible extirpation in Nigeria appears to be entirely attributable to the trade in vulture parts for traditional juju practices. It is apparently also captured for international trade. In 2005, 30 birds were reportedly confiscated by the Italian authorities. Disturbance, especially from climbers, is a particular problem for this species. 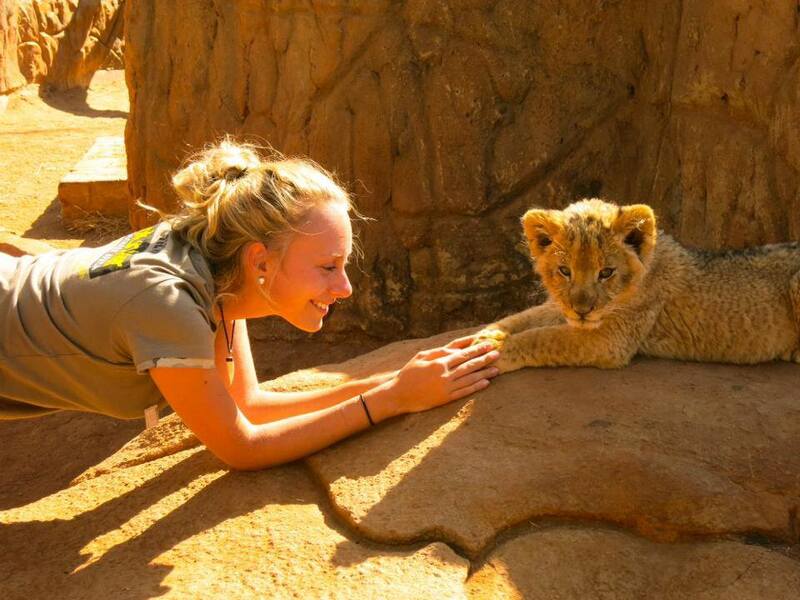 In Mali, the Hombori and Dyounde massifs are dotted with at least 47 climbing routes, on which expeditions take place every year, mainly during the species’ breeding season. However, the impact of these activities is not known. 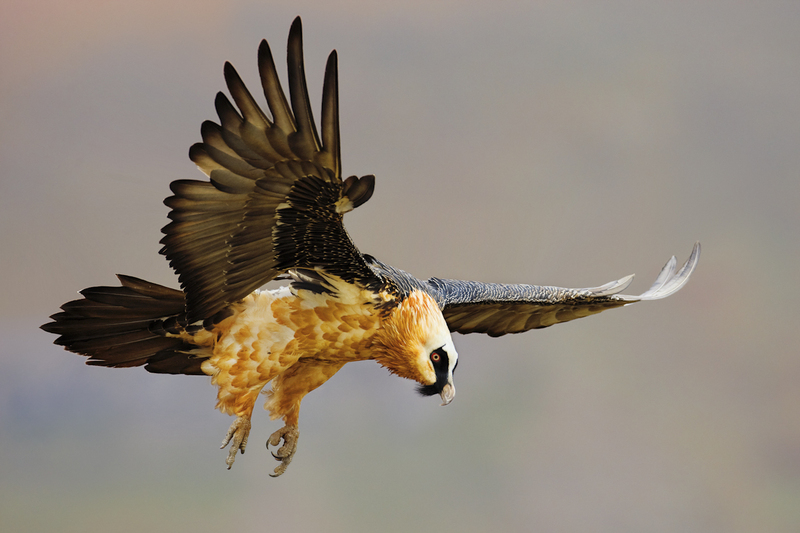 Listed as least concern the bearded vulture is undergoing quite a significant population decline over its entire range of which Africa and Asia are seeing some of the highest declines. Extinct regionally in Albania; Macedonia, the former Yugoslav Republic of Bosnia and Herzegovina; Jordan; Liechtenstein; Montenegro; Serbia (Serbia) and the Syrian Arab Republic the species remains in a rather suspended state. The main causes of on-going declines appear to be non-target poisoning, direct persecution, habitat degradation, disturbance of breeding birds, inadequate food availability, changes in livestock-rearing practices and collisions with power-lines and wind farms. Simmons and Jenkins (2007) suggested that population trends in this species in southern Africa may be correlated with climate trends. In addition, habitat degradation and breeding disturbance also threaten the species. Ferguson-Lees et al. (2001) estimated the population to number 1,000-10,000 individuals, but in Europe, the breeding population is estimated to number 300-700 breeding pairs, equating to 900-2,100 individuals. A revised global estimate is therefore 2,000-10,000 individuals, roughly equating to 1,300-6,700 mature individuals. Terbufos – Brief insight into yet another avian killer. Terbufos has also been blamed for recent and past reductions of vulture species. Terbufos an agricultural chemical that International Animal Rescue Foundation Africa wants banned has been responsible for the deaths of many hundreds if not thousands of aves species over the past decade and is a difficult pesticide to eradicate once leached into the soils. Persistence: In aerobic soil, hydrolysis and biodegradation are the primary degradation pathways for terbufos. The half-life under conditions which favor microbial growth is 27 days. It increases to 67 days in anaerobic soil. The two important metabolites, terbufos sulfoxide and terbufos sulfone, are more persistent than terbufos, and are equally toxic. The half-lives for the sulfoxide and sulfone degradates are 116 and 96 days, respectively. In aquatic systems, the hydrolysis half-life for terbufos is about 13 days for the range of pH 5, 7, and 9. The primary breakdown product in water is formaldehyde, but the sulfone and sulfoxide degradates are also present. The half-lives for the sulfone and sulfoxide degradates are 32 days and 68 days, respectively. Solubility: nearly insoluble in water at 5.0mg/L, terbufos is soluble in acetone, aromatic hydrocarbons, chlorinated hydrocarbons, and alcohols. Mobility: The mobility of terbufos in soil varies. In Arkansas loamy sand, it is moderately mobile but in Indiana silt loam, New Jersey sandy loam, and Wisconsin loam soils it is essentially immobile. The primary degradates are considerably more mobile than the parent compound. Terbufos degradates have a high potential for surface and groundwater contamination and have been responsible for many incidents of fish kills after run-off contaminated ponds and rivers. Bioaccumulation: studies have shown that terbufos has the ability to bioaccumulate in living tissue. The bioconcentration factors for fish range from 320X to 940X , indicating a moderate potential for bioaccumulation. Terbufos is very highly toxic to freshwater invertebrates by both acute and chronic criteria. Studies have noted developmental abnormalities in aquatic invertebrates at extremely low concentrations of terbufos. Terbufos is very highly toxic to both warm and cold water fish species. Terbufos is very highly toxic to mammals. 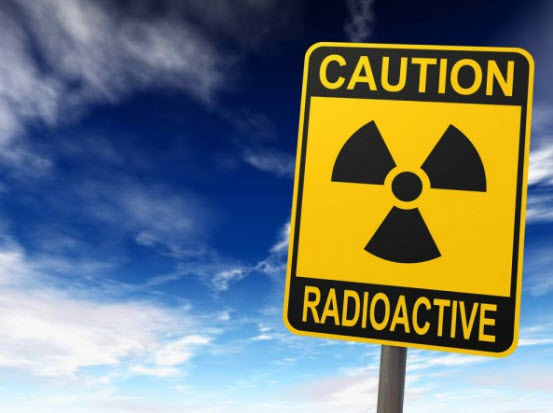 The LD 50 for rats has been reported to be from 1.5 to 2.0 mg/kg. Terbufos is very highly toxic to passerine bird species. The LD 50 for the red-winged blackbird is 2.1 mg/kg. Chronic effects on terbufos and its degradates have not been adequately studied. Illinois, 1991. The Department of Conservation reported a fish kill after runoff of terbufos applied to a cornfield contaminated the immediate watershed. Biologists investigating the site estimate 41,800 bluegill, 38,000 largemouth bass, 5,700 green sunfish, 4,300 black crappie, 407 red-ear sunfish, and 211 hybrid sunfish were killed. Terbufos ranks fourth overall in the U.S. for documented fish kill incidents. To summarize the incidents, during the period from 1989 to 1998, seventy-eight incidents have been reported. The numbers of fish killed range from 30 to 90,000. Most of the kills were related to use on corn. Grassy buffer strips did not prevent incidents, in some cases. Incidents generally occurred from 2 days to 3 weeks after application. The incidents were determined by the EPA to have resulted during periods of normal rainfall and were not attributed to rare or severe storm events. The mortalities oftentimes occurred on soils which are not highly erodible, demonstrating the ability of terbufos and its metabolites to persist and move through the soil. Madison, Wisconsin, 1995. An adult female and a juvenile red-tailed hawk were found at the base of a tree in Madison, WI. Meat taken from the crops of the hawks contained 12 and 13 ppm terbufos. The investigator speculated that the prey of the hawks had been rodents from a nearby corn field (USFWS case file 2300). Bear Valley, near Klamath Falls, Oregon, 1992. Five bald eagles were found dead in an unidentified site. Their crop contents were analyzed at the Patuxent Wildlife Research Center in Maryland. Four of five crop samples, one from each bird, were found to contain terbufos. Dumas, Texas, 1996. In April, 20 migrating Swainson’s hawks were killed when they gorged on grubs in a corn field recently treated with a granular formulation of terbufos. Stomach contents of the birds contained soil, grubs, and from 6.5 to 16 ppm terbufos. The registrant of terbufos, American Cyanamid, commissioned a team of scientists to investigate the kill. The consultants concluded that terbufos granules, along with seed corn, had been deposited on the surface of the soil, instead of in the furrows after plowing. The grubs were exposed with plowing and would likely have remained exposed even after terbufos and the seed corn were covered. It is highly likely that proper application methods would have prevented this incident. This kill proves that secondary poisoning is possible after terbufos contaminated invertebrates are consumed by avian predators. Felton, Delaware, 1997. Two Canada geese were found dead in a 7 acre field of corn. The geese were feeding in newly planted corn which had been treated with granular terbufos. There were heavy rains prior to the incident. This incident shows that grazing birds, such as geese, are susceptible to the effects of terbufos. The heavy rain may have facilitated the absoption of terbufos into the soil, lessening the contact exposure to geese, or, the rain may have increased exposure to geese if standing water containing terbufos was present on the field. Additionally, the rain may have enhanced the uptake of terbufos by the young corn plants, increasing the systemic effect and exposing the geese to high levels of the chemical and its metabolites as they fed on the corn. Over the past two decades we have noticed quite an astonishing level of bird species on the decrease of which the vulture species listed herewith are decreasing at rather an alarming rate. Habitat fragmentation and deliberate persecution are major worries for us, however so is poaching and the use of diclofenac of which needs to be addressed now by the company Pfizer – Diclofenac/misoprostol is manufactured by Pfizer, Inc., and distributed by G.D. Searle, LLC., a division of Pfizer, Inc. The damage caused by these medicines to bird species be it deliberately or via the use veterinary medicine within the cattle trade needs addressing immediately. Please support our stance and contact Pfizer today demanding they remove this synthetic medicine from the shelves before it’s too late.